Marstudio is a top down organization. That means that as a Marstudio client, you get direct contact with our directors for all of your projects, strategy, design, and any other marketing initiatives. With execution moving from our experienced directors to our support stuff, we can ensure execution is at its peak. 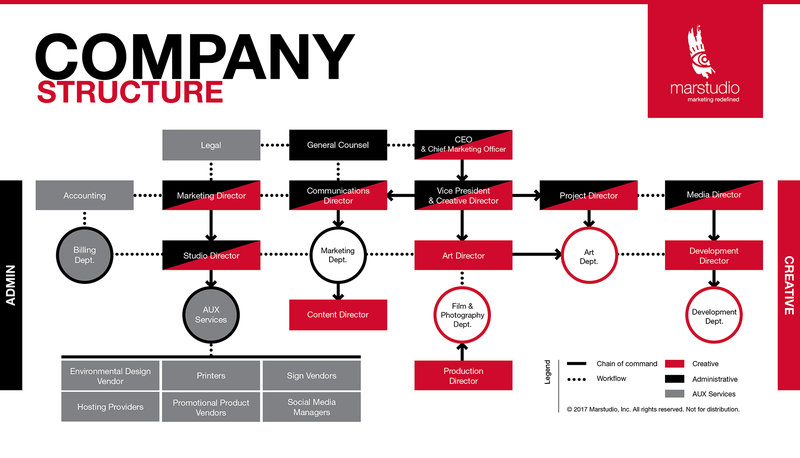 Check out Marstudio’s Corporate Structure to understand how we will create high quality marketing deliverable for your company in an efficient and effective manner.